How much poutine can you eat in 10 minutes? The ninth annual World Poutine Eating Championship returns to Toronto this October, and Smoke’s Poutinerie is giving five amateur qualifiers a chance to rep their region on the big day. Contest details are posted online and explain how victorious regional poutine eaters from across Canada apply to win airfare and a one-night accommodation in Toronto for themselves (and a guest) to compete in the amateur eat-off on the main stage. The World Poutine Eating Championship has become an annual event features three eating competitions for Professional Major League Eaters, aspiring amateur eaters, and a hungry group of CEO’s vying for the position as top fundraiser in a charity challenge to support Friends of We Care. Joey “Jaws” Chestnut is the incumbent to beat. 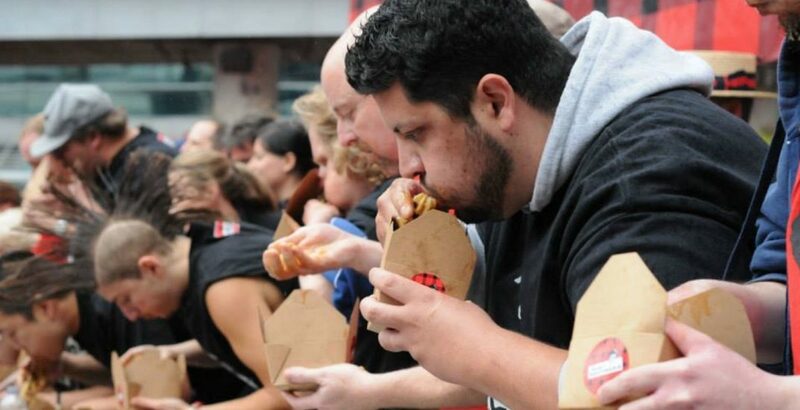 The Professional Major League Eater holds the record of eating 25.5 pounds of poutine in just 10 minutes.